Soylent has seen a lot of people come down sick lately due to its food products, and the company now says the know what the cause is. The meal replacements are aimed to boost productivity and treat the human body almost like a machine that simply needs X number of nutrients, but customers started to complain of adverse reactions to the food bar that resulted in diarrhea and vomiting, prompting Soylent to halt sales of the bars on Oct. 12 as a precautionary measure. 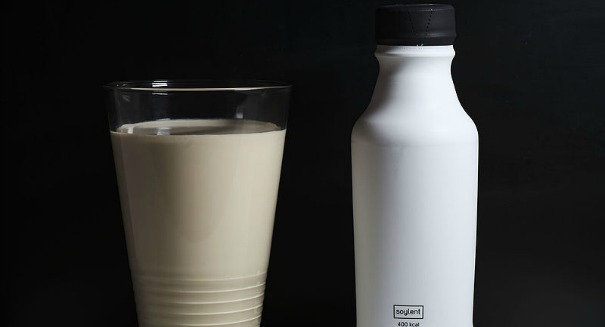 In a new update posted on their site, Soylent says they believe that it’s not food pathogens, toxins or contamination that’s the blame, but rather simple food intolerance, which is less severe than a typical food allergy. And since people with food intolerances are often just fine by eating a small amount of the food, it certainly is possible that these people who are complaining simply eat way too much of Soylent. We would like to give our valued customers an update on our investigation into what caused issues for a small number of people after eating Soylent Bar. For the past several weeks, we have worked aggressively to uncover why people were having these negative experiences. This has included product testing, an exhaustive industry search, and discussions with many of our suppliers. Our tests all came back negative for food pathogens, toxins or outside contamination. The absence of a positive test has allowed us to shift our focus to whether any one ingredient might be triggering a food intolerance. This would be a reasonable explanation as to why many customers haven’t experienced any discomfort (even when they eat from the same batch of bars as customers who did get sick). During our review, we noticed that a handful of consumers (less than 0.1%) who consumed Powder 1.6 over the past several months reported stomach-related symptoms that are consistent with what our Bar customers described. Interestingly, we didn’t see similar complaints during the 1.5 formulation. This possible connection allows us to narrow the field considerably given there are only a few ingredients that are specific to only our bars and Powder 1.6. We have found no complaints for Soylent Drink or Coffiest that are at all similar. We are going to continue to look into this further and share our findings with the FDA so that they can do their own evaluation. Fitting with our desire to err on the side of caution, we are reformulating Bar and Powder 1.6 to remove the likely ingredients. Turnaround should be fairly quick. We expect both will available in early Q1 2017, if not before. We will resume shipping when the reformulation is complete. If you have used Powder 1.6 without incident, we see no reason to stop enjoying it. But if you have had any sensitivities, we suggest discarding whatever is left and letting us know at info@soylent.com. We value our customers’ safety and satisfaction with our products above all else and we apologize again to any customer who had a bad experience. As always, if you have any questions, comments, or have any additional insight, please do not hesitate to contact us.